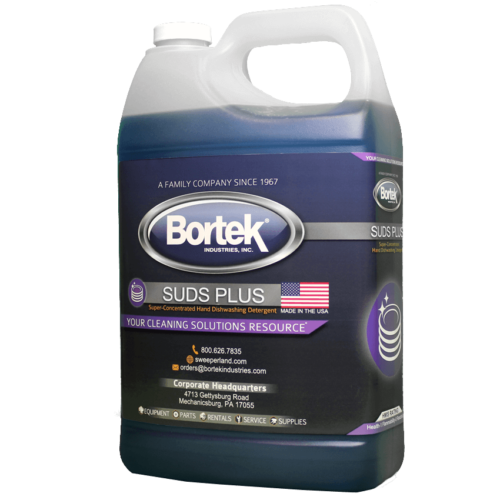 Suds Plus- Hand Dishwashing Detergent- Bortek Industries, Inc.
Suds Plus hand dishwashing detergent effortlessly cleans dishes while staying gentle on the skin. Go with Suds Plus for heavy duty cleaning as well as glassware and utensils. Use 1 oz. per each gallon of water. 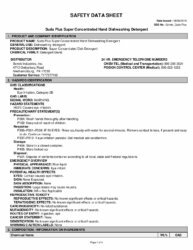 Permit spigot to run with force to increase foaming action of cleaner. Wash dishes, rinse, and permit them to air dry. 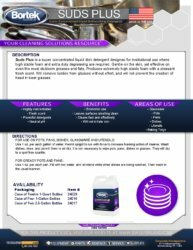 It is not necessary to wipe pots, pans, dishes or glasses. They will dry to a spot free sparkle. Use 1 oz. per each pan. Fill with hot water, and let stand while other dishes are being washed. Then wash in the usual manner. Weight per Gallon 8.55 lbs./gal.